The flush restroom has been reinvented for off-grid locations. Green Flush Technologies manufactures innovative restrooms that come equipped with flush toilets, sinks and urinals, but do not require any connections to sewer, water or electrical utilities. They have the look and feel of clean, spacious flush restrooms while negating all of the infrastructure costs. By using holding tanks and micro-low flush toilets, these restrooms provide thousands of uses before needing pump service. Create an outdoor fitness center in your park or recreation area with iTrack fitness equipment by GameTime. Designed for ages 13 and up, iTrack products are durable, low-maintenance and effective at building healthier communities and helping individuals achieve their personal fitness goals. Pentair Commercial Aquatics offers its LX80™ Commercial Pool/Spa Control System that offers easy access to the emergency shutoff switched for any aquatic environment. This user-friendly integrated control system includes both a pool and spa on/off, two time clocks to control daily filtration and built-in cool-down cycle for each gas heater. The LX80 is waterproof and low voltage, offering excellent protection against electrical shock. 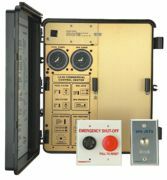 The low-voltage emergency shutoff switch is capable of shutting off all spa and pool-related equipment, including the filter pump, jet pump and air blowers. Nautilus Commercial Fitness' new 8 Series Cardio line includes a treadmill, elliptical and recumbent and upright bikes. The new line will include four new machines with digital entertainment touchscreens. The same units with dot matrix consoles, previously available under the heading of Light Commercial Cardio, were enveloped into the 8 Series line and are now covered under warranties for both light commercial and full commercial usage. The Nautilus 8 Series Cardio entertainment touchscreen consoles feature TV/D-TV and iPhone/iPad/iPod connectivity. Everlast and ECORE Commercial Flooring introduced Terf, a premium turf product with the power to transform regular spaces into high-performing sports and fitness venues. Designed for indoor sport and agility use and spike-resistant, Everlast Terf is available in 6-foot-wide rolls and 23-inch to 46-inch interlocking tiles with 5mm or 12mm recycled rubber backing. Whether a traditional gym environment or a pop-up field hockey or soccer field, Terf meets a number of possible applications. Paragon Aquatics now offers its new Griff's VISION Guard Station™--a patent-pending design that minimizes deck space usage while maximizing the frontal edge of the guard station. The Griff's VISION Guard Station™ can be positioned close to the pool edge and accommodates most pool gutter profiles, including zero-depth entry pools, and can be used in both indoor and outdoor applications. Available in 1-step, 2-step and 3-step models. Side-to-side access allows for uninterrupted coverage of the pool area during shift changes. 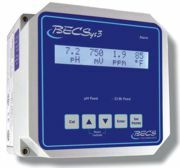 BECS Technology announces the addition of 100BaseT Ethernet, USB and Data Logging to the BECSys3. BECSys for Windows PC software allows operators to monitor and change all system parameters, as well as download and analyze data logs. Data Logs can also be downloaded to a flash drive via the USB connection. E-mail and text message alarm notifications provide operators the ability to closely monitor the water quality of their pools. Poligon has recently developed a Certified Installation Program. The program was designed to provide a higher level of professionalism and skillset in the shelter installation industry. These installers attend a day-long workshop at the Poligon headquarters in Holland, Mich. While there, they review the most effective and efficient installation methods outlined by Poligon. Training will give installers a better understanding of both factory recommendations and expectations. A successful installation is a key element in the sales cycle and is fundamental for future sales.